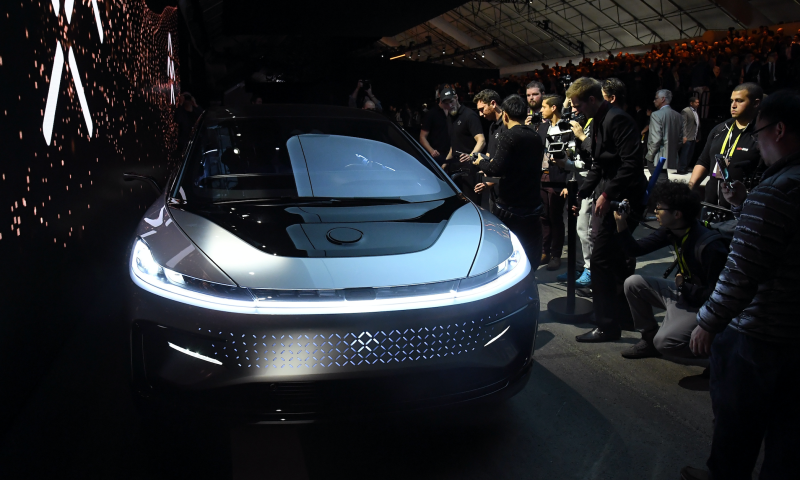 One of Faraday Future’s most vocal critics, Nevada Treasurer Dan Schwartz, has regularly used a word to describe the start-up automaker’s $215 million tax incentive deal to build a new factory in his state: confidential. As Jalopnik reported in December, when the Nevada legislature approved a bill to secure Faraday’s footprint in the state, neither Schwartz nor lawmakers reviewed any proof of the company’s financial viability. Though this doesn’t look smart, it’s completely legal. Turns out, the Nevada governor’s office of economic development — the state agency overseeing the project — deemed those documents confidential at the request of Faraday, according to emails obtained by Jalopnik. And now as the would-be automaker is met with more and more scrutiny, the law that allowed that confidentiality is as well. It’s not an unusual request, the governor’s economic office said, as it’s allowed to make documents confidential at the request of a company under Nevada Revised Statute 231, which created the agency. Of course, Faraday is also a private company that’s within bounds to keep its financial information private. A spokesperson for the governor’s office of economic development confirmed that its director, Steve Hill, fulfilled Faraday’s request to keep certain items confidential, particularly a “detailed schedule” of capital investment at the factory in Nevada — that is, how it plans to spend money at the site. But with reports highlighting continued financial pressures at FF, the revelation highlights potential flaws in the law, as a significant amount of public funding has been appropriated for the project, Schwartz’s chief of staff, Grant Hewitt, said. Hewitt previously told us that Faraday could’ve stanched the stampede of press over its financial viability if it had “just been transparent, even in a confidential manner” with the treasurer. “Lock us in a room and say we can’t take [the documents] with it,” he said. So Schwartz has been left to look into things on his own, as best as he can — and with reasonable rationale to do so. Last month, Hewitt explained how, in order to approve public funding for infrastructure surrounding the project, Nevada’s treasurer is required to assess the viability of Faraday, with the hope of ensuring the factory will generate enough tax revenue to protect the investment of state taxpayers. How can the treasurer’s office sufficiently gauge FF’s situation without any documents on its financial health, though? On January 15, 2016, Brad Mamer, director of business development at the Nevada governor’s office of economic development, forwarded a letter from Alexander Frei, who was hired by Faraday to assist in site selection and tax incentive negotiations, to Hill, Mamer, and Faraday’s deputy general counsel, Ilan Goldman. The letter laid out a request from Frei to make three items confidential pertaining to Faraday’s application for incentives. Frei cited Nevada Senate Bill 1 of 2015, the legislation that was passed during a special session of the state legislature and facilitated FF’s tax incentive deal, and said it allows for parts of the application to be deemed “a trade secret or other confidential proprietary information” at the applicant’s request. 1. The copy of its health insurance benefit plan provided to GOED. 2. The detailed schedule of operational employment labor and wages designated “Addendum 2". 3. The detailed schedule of capital investment provided to GOED. If the Executive Director of the Office determines to protect the information from disclosure, the protected information: (a) Is confidential proprietary information of the business; (b) Is not a public record; (c) Must be redacted by the Executive Director of the Office from any copy of the application that is disclosed to the public; and (d) Must not be disclosed to any person who is not an officer or employee of the Office of Economic Development unless the lead participant consents to the disclosure. In effect, that means it’s impossible for the public to retrieve a copy that lays out a detailed explanation of how Faraday plans to spend money at the site in the coming years, despite that a $215 million tax incentive package was approved for the project and upward of $175 million in bonds may be issued to build infrastructure around the site. To be sure, it’s not unusual for confidentiality requests to be made. When Tesla moved into the state for its Gigafactory, records show the automaker requested confidential treatment from the Nevada governor’s office of economic development for certain items related to its request for tax incentives, though it’s not clear to what extent. Records filed with the Securities and Exchange Commission, for instance, show Tesla filed a brief schedule of its capital investment plan, an innocuous breakdown of what it plans to “acquire, construct, and purchase” over a 10-year period. All of this wasn’t the extent of confidential treatment received by Faraday. Cooper confirmed her office agreed to make Faraday’s financial documents confidential, as well — corroborating statements from treasurer Schwartz and his staff that documents records pertaining to the company’s finances have been withheld from examination by his office. The company said it doesn’t remark on its finances as a private company and declined further comment. While these requests for confidentiality are not only legal but apparently common, it’s becoming increasingly clear through FF’s shaky and oft-rescheduled investment plans that this level of secrecy with so much public money on the line is perhaps worth reconsidering.